It’s hard to go wrong on a Blackbeard’s cruise. This will be Lauryn’s FOURTH! 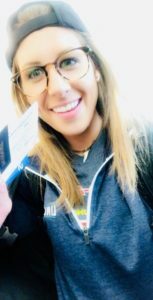 Come enjoy a foolish April adventure sailing and diving through the Bahamas with Lauryn. 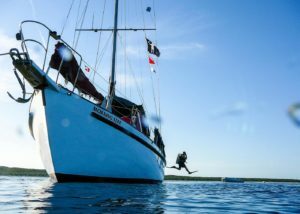 The Blackbeards sail/dive charter is an adventure that we’ve been doing at Gypsy since the late 80’s – it’s fun, it’s dive-intensive, and it’s great value for the money. And having Lauryn along just increases the value – she is an expert in both having fun and loving to dive. Dive sites are in the Out Islands of the Bahamas. You get it all: reefs, wrecks, walls, blue holes, drift, night, deep and shark feeding dives. There is no set itinerary. We go where the weather takes us. Every trip is unique! Airfare is NOT included in this trip. A $300 NON-REFUNDABLE deposit holds your spot. Berth choice is assigned on a first come / first served basis, with priority going to couples. You will need to select your berth when you make your deposit. Final payment due January 15, 2019. For dive travel insurance Gypsy Divers RECOMMENDS DAN or DiveAssure.